I'm done with winter. I should not be wrapped in a blanket at my desk, but in a beach towel in the sand. My fingers should not be cold from drafty windows, but from holding a piña colada. 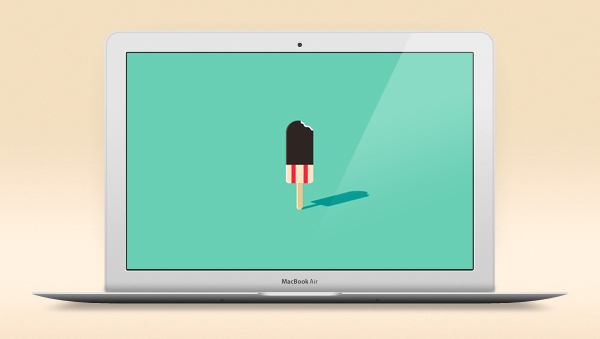 To put me in a better mood, I'm switching to popsicle wallpaper. Did it help? I'm with JoKnows! Brrrr! I hear ya. Had gloves and a scarf on at my desk this morning! I switched my wallpaper to this! Oh man..... SO dreaming of summer this week. Thanks! Totally agree!! Minus 30 here in Canada:) You are not alone freeeezing! Keep up!